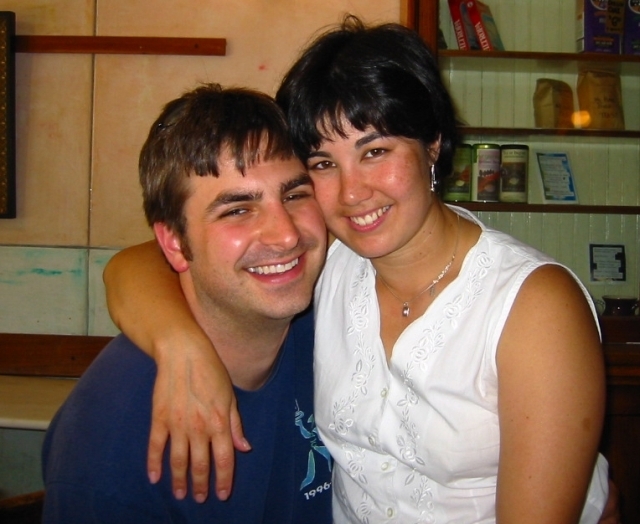 Yes, this is the official wedding site of Stephen D. Chappell and Kathie L. Chan. These young lovers will tie the knot legally on November 5, 2005, and this website will tell you everything you need to know, if you're interested. People planning to attend the wedding should be seated in the Ballroom of The Mansion by 6:00 p.m. on November 5, 2005. People planning to attend the reception after the wedding should be hanging around the Reception Area of the mansion after the wedding. We hope you enjoy our web site. There's still stuff being added now and then, so you might like to drop by again sometime. The webmaster says any copyright or proprietary infringement is unintentional and due to inability to ascertain a legal owner or proper party for authorization or attribution notwithstanding reasonable and diligent effort to ascertain same; and he takes sole responsibility for use thereof. Sounds like a lawyer, doesn't he? He says to simply and he will be pleased to accommodate any legitimate requests for removal or credit.